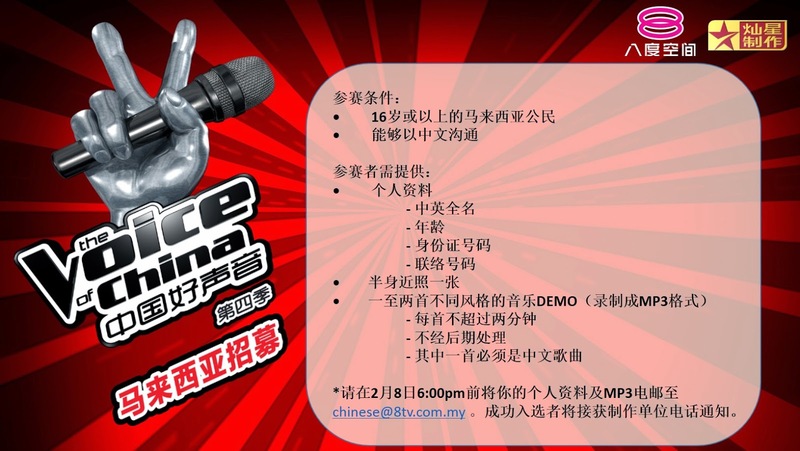 Petaling Jaya, January 2015 – “The Voice of China” is back again! It will be having a recruitment for contestants for their 4th season! Here’s a chance for you to create miracles and achieve your dream as China中国灿星制作has cooperated with 8tv八度空间 once again to recruit talented people from Malaysia. They strongly welcome Malaysian citizens who are 16 years old or above, fluent in Mandarin communication to take part in the online recruitment. Who knows? You might be the next one who would shake the world with your amazing voice! 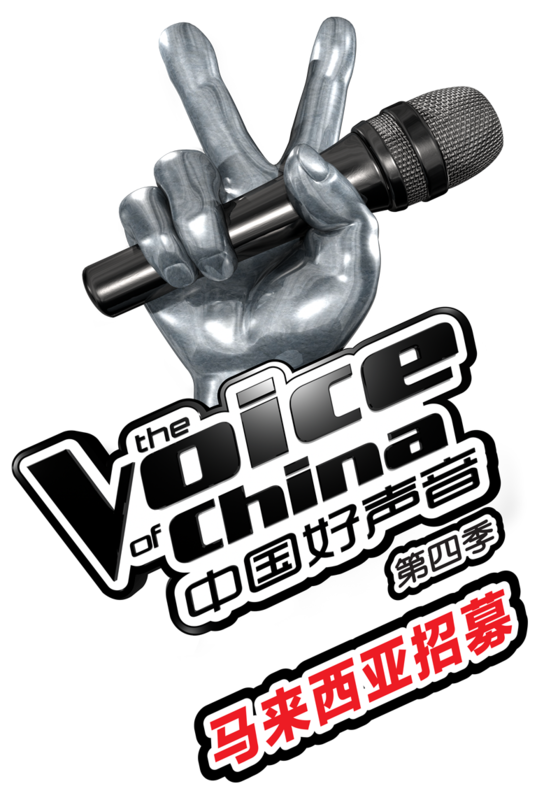 The Voice Of China《中国好声音》 season 4 recruitment have been started since 19th January 2015, all the participants need to provide their personal details (Name (English & Chinese Name), Age, IC No, contact number and half-body recent photo) and one-two music demo of different styles in MP3 format and email to chinese@8tv.com.my. Apart from that, at least one of the recorded demo must be Mandarin song, each song should not be more than 2 minutes and non-modified & non-edited. The successful participant will receive the organizer’s call. The dateline for the recruitment is on 8th February 2015.